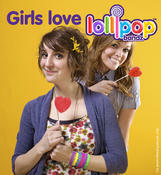 Zorbitz announces Lollipop Bandz debut at GBK gift lounge for the MTV Movie Awards. LOS ANGELES, CA, April 10, 2014 / Hosted by Conan O Brian, the MTV movie awards will feature exclusive clips of upcoming movies, including Spiderman 2 with presenters consisting of many of today's top celebrities including Seth Rogen, Zac Efron, Dave Franco, Seth Macfarlane, Amanda Seyfried, Nicki Minaj and Shailene Woodley. 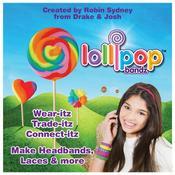 Created by celebrity Robin Sydney (Drake and Josh) who created Click-itz Bracelets which were a hit at the Kids Choice awards, everyone is anticipating the excitement that Lollipop Bandz will bring. Lollipop bandz are shaped silicon bracelets with a lollipop clasp that can be connected to make wrap bracelets, headbands, shoelaces and more. The lollipop packaging gives them a fun, unique look. Celebrities will be able to choose their favorite styles and create their own look.